How to break free from old habits that no longer serve you—or your relationship. Strong emotions that arise during conflicts almost always have their origin in the past, most often in childhood, says couples’ therapist George Taylor. When we inquire within to identify the source of our reactivity, then share it with our partner, we begin to break free from old, conditioned patterns of behavior that no longer serve us or our relationship. Dismantling these kneejerk reactions is a courageous process that requires both self-awareness and self-disclosure, but the results are transformational, Taylor says. The key is to focus on your own experience, without blaming or criticizing your partner. Ask Yourself: What’s Getting Triggered? Does this response feel familiar to me from childhood or previous relationships? Where might I have learned it and what can I learn from it now? Knowing this, how do I want to respond to my partner? For example, if one partner goes ballistic when her beloved is five minutes late, instead of screaming at him and calling a thoughtless jerk, she might stop to explore why she’s so distressed. In doing so, she may discover that her response has much less to do with her devoted and usually on-time partner than the fact that in childhood her mother never knew what time—or day—her angry alcoholic father might turn up. When we inquire within to identify the source of our reactivity, then share it with our partner, we begin to break free from old, conditioned patterns of behavior that no longer serve us or our relationship. 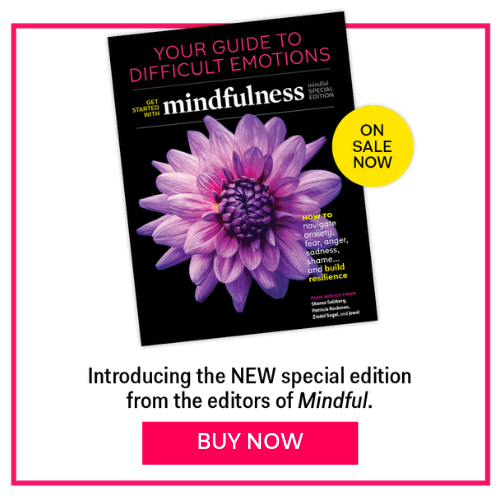 This excerpt accompanies a feature article titled, “What is Love?” in the April 2017 issue of Mindful magazine. To get immediate access to the full article, subscribe to the digital edition. Barbara Graham is an author, essayist, journalist and playwright. Barbara is the author/editor of the New York Times bestselling Eye of My Heart: 27 Women Writers Reveal the Hidden Pleasures and Perils of Being a Grandmother, and author of Women Who Run with the Poodles: Myths and Tips for Honoring Your Mood Swings, and most recently Camp Paradox.